Rainforest Eco Lodge is a luxary hotel situated in Ensalwatte, Deniyaya, on a state owned land leased to Estate companies, bordering the Core Zone of Sinharaja World Heritage Rainforest and within the Buffer Zone. 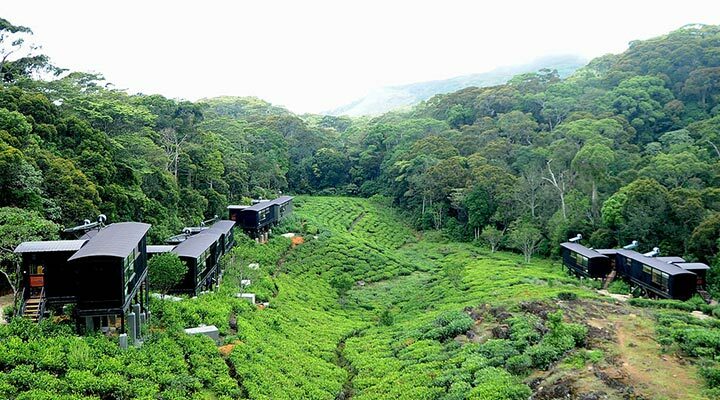 While the lodges have been built on tea cultivated area, the hotel management has not taken initiative to increase Native Vegetation cover within it's property. 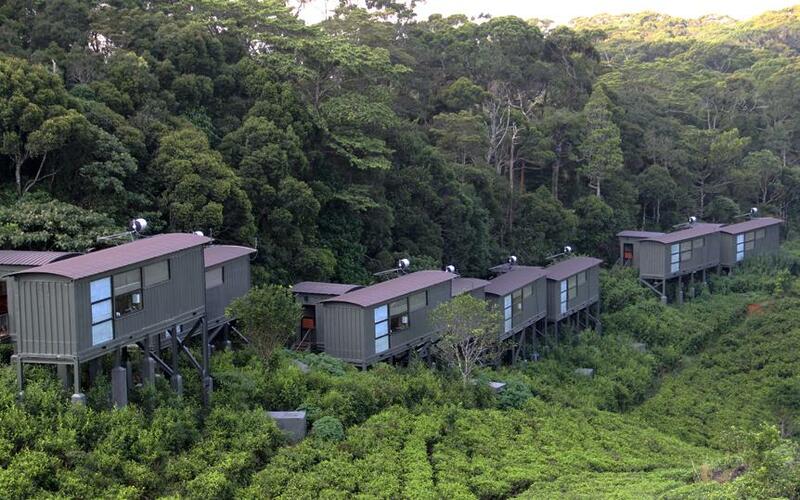 Rainforest Eco Lodge gets fair ratings for Trash Pollution Control & Recycling effort. Light pollution is very high, and due to the fact that it is in Sinharaja World Heritage Rainforest buffer zone, the light pollution is extremely harmful for the insects and other animals of Sinharaja. No history of supporting Bio-Diversity Conservation projects. Although habitat loss has been reduced by building the hotel in previously cultivated land area, the hotel is built on the buffer zone of Sinharaja Rainforest which were to be acquired by Forest Conservation Department to be annexed to Sinharaja World Heritage Rainforest per cabinet paper in 2004. Native trees are not present on the property. The property lacks bio-diversity due to monoculture tea cultivation. 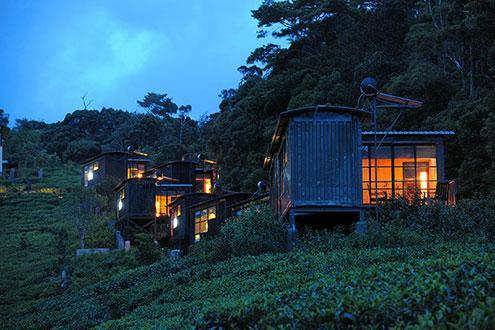 Rainforest Eco Lodge is heavy on light pollution, with bright lights disturbing the fragile nature of the buffer zone of Sinharaja World Heritage Rainforest. 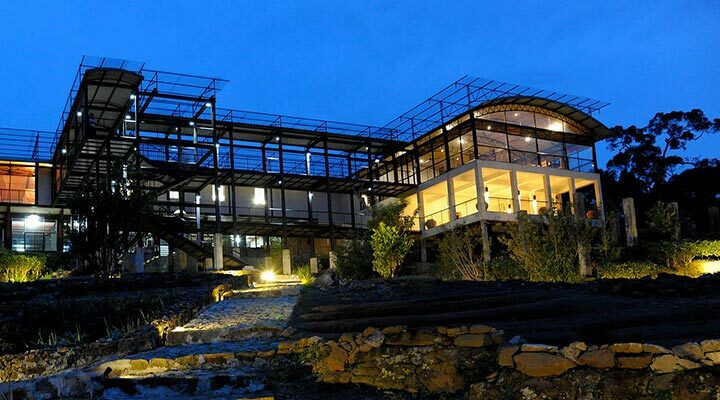 To date, Rainforest Eco Lodge has not been active in supporting Bio-Diversity Conservation Projects in the surrounding area. Eastern Sinharaja has not received the due protections and many Forested areas are cut down for tea cultivation.